This month my mid-term IRM report on the UK’s Third National Action Plan was published, covering the UK’s progress up until the end of last year. So where is Northern Ireland in terms of its commitments? Northern Ireland began from a different point than the UK as a whole, and, though part of the UK’s Third National Action plan, its commitments, like Wales, should be regarded as its first action plan. Like the rest of the UK, Northern Ireland has had elections and Brexit to contend with. The Northern Ireland Assembly has also been suspended since January 2017 and this has affected progress. The Northern Ireland Executive has been pushing an openness agenda since 2015 developing, for example, its own open data portal (with some fascinating showcases, from visualising bus routes to public trees and divided schools). In recent month there’s been controversy around FOI and record keeping during the RHI inquiry, with the Head of the Civil Service claiming some meetings were not recorded. 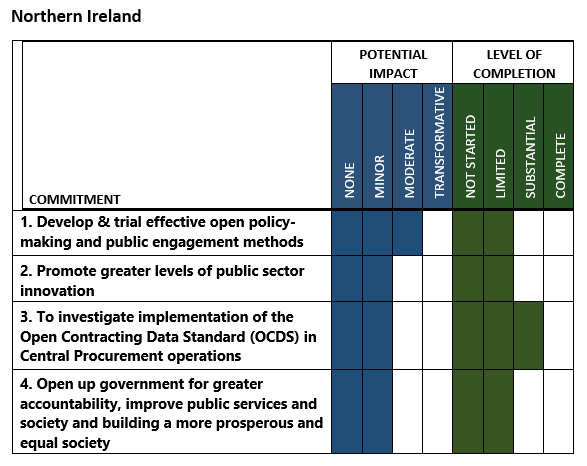 Northern Ireland’s four OGP commitments showed progress, as the table shows below. All of them are ongoing, and commitment three is substantially complete (note my analysis runs up the end of 2017). In my report I recommended pushing for a signature issue or policy/policies in the next action plan that can help attract attention, support and interest (as happened with the Wellbeing Act in Wales in 2015). The Northern Ireland Open Government Network are already developing ideas including introducing a register of lobbyists, Open Ministerial diaries and citizen centric data usage reports. As the networks in Northern Ireland are comparatively new, the OGP process underlined the need for greater awareness and support for openness among government and CSOs (the Re-imagine Democracy event in March 2018 was a great example of how this could be done). Given the size of Northern Ireland, there is perhaps greater opportunity for CSOs and different levels of government to work closely together. I argued that openness could help create legitimacy, public support and interest at an important and difficult time for Northern Ireland in the wake of Brexit. As with the UK generally, I also recommend that there be detailed scrutiny from a high-profile body to provide added publicity and pressure. The exact form may depend on the future governance arrangements of Northern Ireland. Scrutiny could come from the Northern Irish Assembly if the Assembly is up and running soon – and could be headed by the Committee for Finance (covering the department that leads on openness). 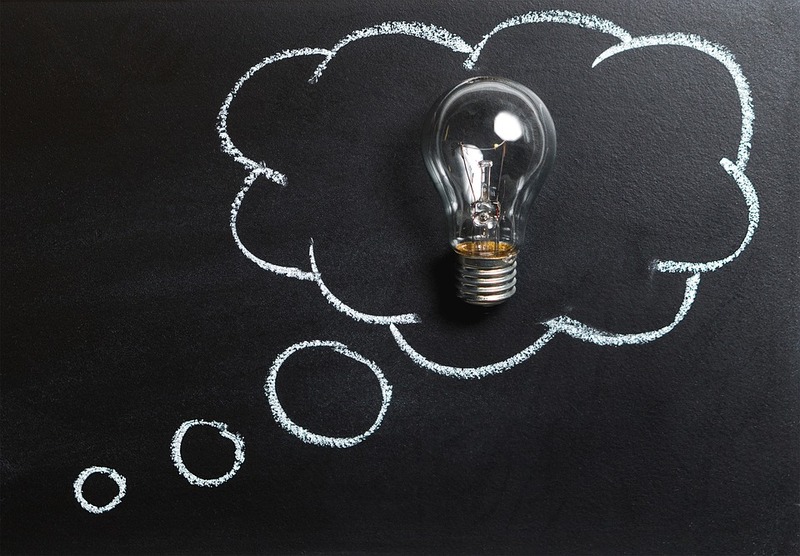 Again as with the UK, high profile speeches and interest from senior politicians can also help raise the profile of openness, and push the agenda forward. Ben Worthy is the UK IRM and an academic at Birkbeck College, University of London. You can read the full IRM report here. You can also come along to hear Ben in conversation with his Australian equivalent in London on the 12th July.